Abingdon, VA Tuesday, Jan 15, 2019. 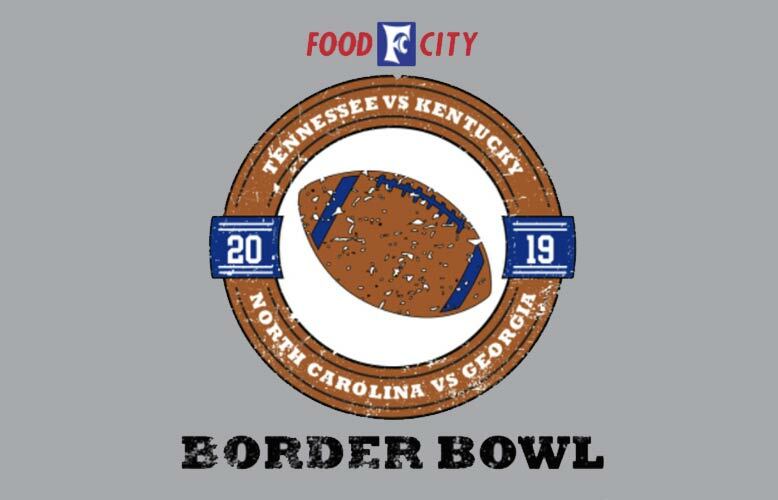 Over 160 young men from across Kentucky, Tennessee, North Carolina and Georgia will be competing in the upcoming Food City Border Bowl – which takes place on Saturday, January 19, 2019 at Sevier County High School. Adult tickets are available at the gate for only $10. Children ages 10 and under are admitted free of charge. Since its inception, over $1,000,000 has been distributed to area students as a result of Border Bowl scholarships. Other event sponsors include General Shale, Delta Dental, Rocky Top Sports Complex, TGI Friday’s, Greystone Lodge, DynaBody, Mark Packer Productions, ZenEvo Chocolate, Twice the Ice LaFollette/Clinton and the cities of Gatlinburg and Sevierville, TN. The cities of Gatlinburg, Sevierville and Pigeon Forge are preparing to welcome visiting fans, friends and family – who can enjoy the scenic beauty provided by the area, as well as premier dining, shopping and entertainment opportunities. Headquartered in Abingdon, Virginia, K-VA-T Food Stores (Food City’s parent company) operates 129 retail outlets throughout southeast Kentucky, southwest Virginia, east Tennessee, Chattanooga and north Georgia.